In 2006, the DS ruled Japan. (Heck, in 2007, too.) The hardware was hard to come by, and things got so back in 2006 that American DSes were re-imported into Japan to satisfy the demand. Things have tailed off considerably. According to Nintendo's Q1 FY3/09 statement, DS hardware sales dwindled, moving 580,000 units in Q1 this year. In last year's Q1, Nintendo moved a staggering 2 million plus DSes. Hardware isn't the only thing that suffered; DS software sales are down as well. Last year's Q1, 979,000 units of DS software were sold, compared to this part quarter's 493,000 units of DS software. Same's true for the once red hot Wii console. In the previous year's Q1, Nintendo shifted 950,000 units. This past quarter, Nintendo sold 530,000 Wiis. Good news is that Wii software sales are up. 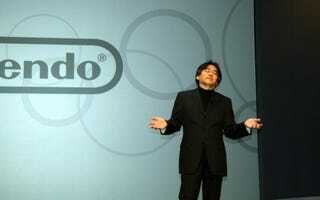 Last year Q1, Nintendo moved 2.78 million units of Wii software. What about Q1 2009? A strong 3.9 million units. As the domestic business continues to diminish, Nintendo is clearly finding success with customers in North America and Europe. Japan, it seems, is on the decline.